ONCHAN, Isle of Man – March 6, 2017 – The biggest poker event Russia has ever seen, PokerStars Championship Sochi, will take place from May 20-31, 2017 at the Sochi Casino & Resort, PokerStars, an Amaya Inc., (NASDAQ: AYA; TSX: AYA) brand, announced today. The PokerStars sponsored event will bring dozens of exciting poker tournaments to Russia’s premier holiday resort from May 20-31, including a guaranteed PokerStars Championship Main Event worth RUB 150,000,000 (approx. $2,600,000), the largest guaranteed prize pool ever featured in a Russian poker tournament. The glamorous location, which played host to the 2014 Winter Olympics, is also famous for its beaches, lively nightlife, beautiful mountainous coastline and, of course, excellent skiing during the winter season, making it a favourite destination among Russian holidaymakers. The latest addition to the PokerStars Championship schedule will be one of the most exciting stops of the PokerStars Championship’s maiden season. Team PokerStars Pros also expected to attend include Liv Boeree, Bertrand “ElkY” Grospellier and Chris Moneymaker - who all have their eyes fixed on the glory of becoming Sochi’s champion. PokerStars Championship Sochi also features must-play events such as the RUB 66,000 (approx. $1,160) PokerStars National Championship. Please note: All event buy-ins listed above are subject to change due to fluctutations in currency exchange and are designed in Russian rubles at a rate of 60/1. All rake and staff deductions are the same percentage as standard PokerStars sponsored events. “Sochi is a premier location for hosting world class events and we are looking forward to bringing PokerStars Championship Sochi to this exciting location,” said PokerStars Director of Live Events Edgar Stuchly. PokerStars Championship Sochi Main Event packages are up for grabs in exclusive $8 buy-in Spin & Go tournaments now running on PokerStars. Players can also qualify for PokerStars Championship Main Event and PokerStars National Championship through special satellites from today on PokerStars.com. The event, organised by Sochi Casino & Resort, promises to be a fantastic opportunity to play big money live poker with all the excitement that a PokerStars Championship brings, including full TV and webcast coverage, a host of celebrities and Team PokerStars Pros in attendance, and much more to entertain players and visitors. In addition to a packed schedule of events with 70+ tables in total, there will be cash games running 24 hours a day. There will also be an exclusive Sochi Hotel discount promotion running where players who respond can enjoy a 50% discount on standard accomodations at the Mariott Hotel during the PokerStars Championship Sochi Main Event. 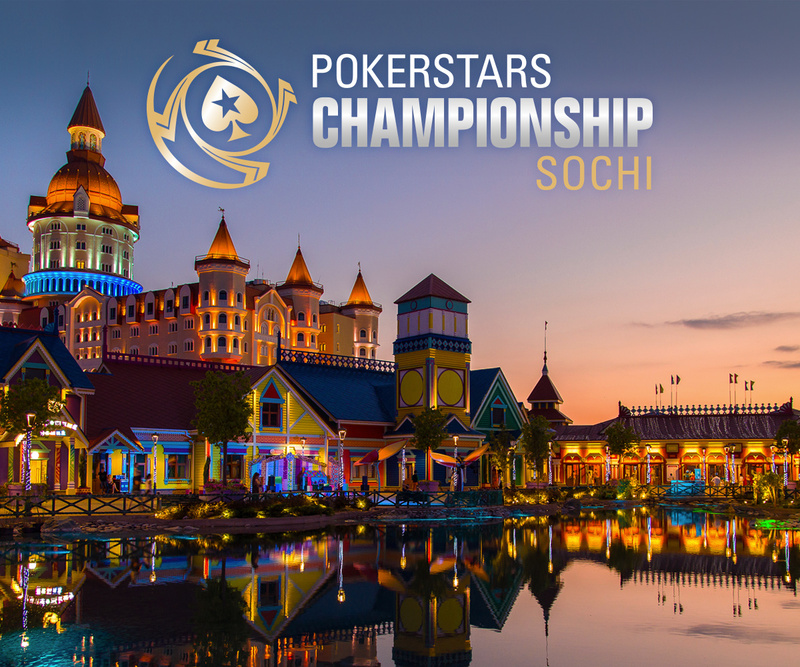 More information about PokerStars Championship Sochi can be found here: http://psta.rs/2jLfklf. For further information, please contact press@pokerstarslive.com. The PokerStars Championship, sponsored by PokerStars, is the world’s biggest poker tour. Bringing together some of the world’s most exciting and prestigious poker tournaments, the PokerStars Championship replaces some events previously part of the European Poker Tour, North American Poker Tour, Latin American Poker Tour and Asia-Pacific Poker Tour. Collectively, these events have paid out well over $1 billion in tournament prize pools globally on five continents since 2004. Confirmed PokerStars Championship sponsored live events for 2017 include the Bahamas, Panama, Macau, Monte-Carlo, Sochi and Barcelona, with more events to be announced in the coming months. PokerStars Festival events, sponsored by PokerStars, are mainly tailored for recreational players and replaces some events previously part of the UK & Ireland Poker Tour, France Poker Series, Italian Poker Tour, Estrellas, Eureka, Asia-Pacific Poker Tour and Latin American Poker Tour. Confirmed 2017 PokerStars Festival sponsored live events are Rozvadov, Korea, Chile, Marbella, Manila and Uruguay with more eventsto be announced. Sochi Casino & Resort is the first world-class entertainment venue at the territory of the year-round Gorky Gorod mountain resort. Sochi Casino & Resort is one of a kind project that embodies the unique concept for Russia inspired by the best casinos of Las Vegas.